Angry Birds Full Version Is Out NOW! It’s arrived! The full version of Angry Birds for Android is here! I’m not sure why, but they haven’t released it in the Android Market yet, they said that’s coming in the next few days. For now you’ll need to download it from the Getjar website, they tell you. This game is so popular however it’s taken down almost any site hosting the file from it getting flooded with hits. So why not try to add one more to that list? Oh did we mention this comes in at the awesome price of free?! Droid X 2.2 FULL SBF Finally Leaked! We can finally stop feeling nervous (sort of) while messing with our Droid X’s. Thanks to murryrulz over on XDA, we all can now fully restore our Droid X phones to a base 2.2 image if we mess something up. 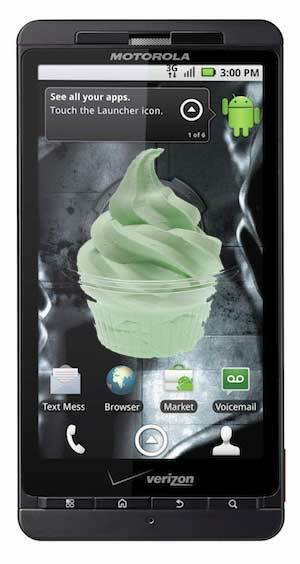 This is different from the previous 2.2 SBF leak for the Droid X, as the previous one was just the core system files. This sucker is whole package deal though, so no matter what files you edit, delete or mess up, you will be able to recover your phone to the state it was the day you got your phone, just with 2.2 Froyo already loaded. With that, head on over and grab the files needed while you can! We all know Motorola will be sending out C&D’s to anyone hosting this file in a matter of time, so make sure to grab it, even if you don’t think you need it now, it will probably pay off in the future! 2.2 Full SBF – Download here. RSDlite 4.8 – Download here. To use this simply do the following. Select the SBF file you downloaded through the RSD Lite program by clicking the Browse button. Click Start, and sit back while your phone restores! Yes, it’s been a slow 7 or 8 days around DroidXstatic. I just wanted to say all the personal questions and requests I’ve received aren’t being ignored. I’m working on getting up a good number of guides, walkthroughs, and just plain explanations of everything from rooting, to roms, to themes, to specific phone unlocks and features. I hope to start pouring this all out tonight into the rest of the week, so make sure you check back! With that, to set more of a focus on this site, I’m going to start narrowing down the number of devices I track for updates and changes. This basically means I’m going to only focus on information and releases for specific phones. This list will be constantly changing with new phones being launched, but I will do my best never to remove a phone my scope. That’s gonna close out the list for now. If any of my regular readers, co-workers, or friends that frequent this site have a different model not specified above let me know and I’ll be sure to add it to the list for you and continue covering anything I can find on the device. So stay tuned and make sure to check back over the next few days and throughout the rest of the week! Oh No! 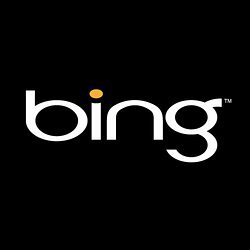 Verizon ditches Google and brings on Bing? !…No, not so fast. Android, and more specifically Verizon customers using Android were up in arms today all over the internet when a rumor was let out that Verizon signed a deal with Bing to use their integrated search on ALL future Android smartphones. So basically the issues people have been complaining about with Bing on the Fascinate would be on all Android phones coming from Verizon in the future. But not so fast everybody. The absence of Google search on the Samsung Fascinate will be fixed when the phone gets Android 2.2, Verizon spokeswoman Brenda Raney told Electronista today. She asserted it was an “incorrect assumption” that Verizon had blocked the app and that it was allegedly only available once a given phone was upgraded to 2.2. She also pointed out that Google wasn’t entirely blocked, as voice search still used Google Maps. So not only will you be able to get your Google search on the Fascinate, but if they did sign some mysterious deal with Microsoft to use Bing exclusively, they are still not blocking you from choosing to use Google, and they point at that it’s Google’s fragmentation that is essentially causing the issue, since it’s only 2.2 compatible now if you need to download it from the market. With that we can all sleep safe tonight knowing if we need to navigate or search we can still do so with Google, even if Verizon prefers you try another option first. Droid-life has been doing some amazing coverage of the R2-D2 contest and features leading up to its release in 20 days. One of their forum members even unlocked the first code to win the first custom R2-D2 phone in the giveaway. On top of that, over the past few days the (what appears to be) official boot animation showed up on the internet, then the custom live wallpapers, and now the static wallpapers. There’s quite a bit of content to be had here, but we have you covered with everything in one convenient location. Check after the jump and find the breakdown, download, and sample videos or screen shots of all the content. It seems Verizon is continuing its never-ending onslaught of Android phones. 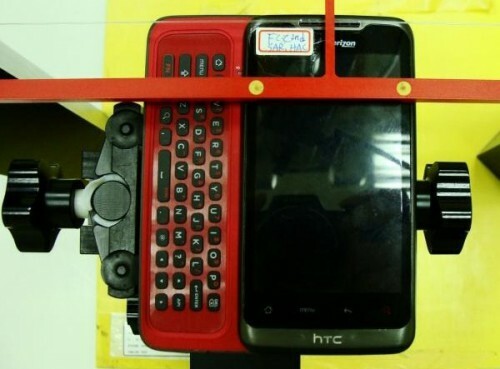 Pictured above is HTC’s newest entry to pas through the FCC on its way to Verizon. This thing boasts a 4″ screen, a slide out QWERTY keyboard, Bluetooth, 802.11 b/g/n wi-fi connectivity, and capacity for both CDMA and GSM networks, using EV-DO Rev. A for data. That’s really all the details available on this device so far, but check out more pictures after the break!